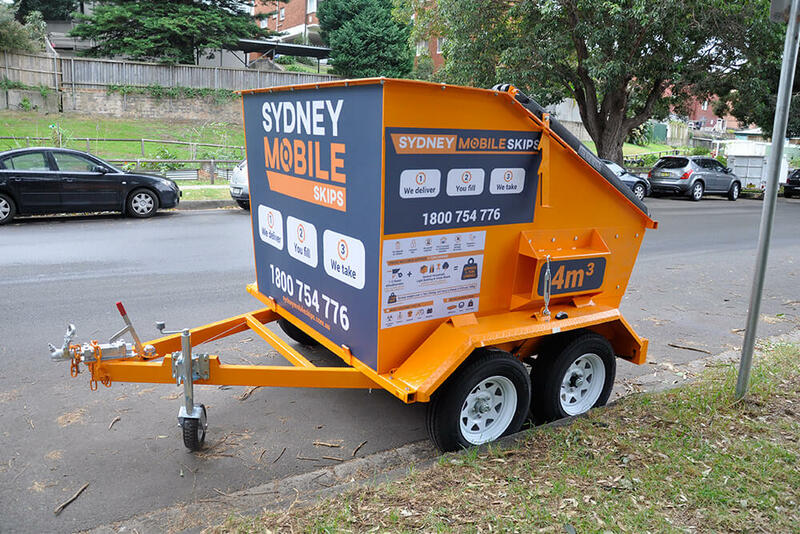 BOOK YOUR MOBILE SKIP IN 5 EASY STEPS! Small – medium skip. Suitable for most general clean-ups and is our most popular size bin. Standard 2 days (48 hours) hire including delivery, pickup and tipping. *Note: The first 48 hours is inclusive of the standard hire price. Please note that if Skip hired on Friday, will be picked on the Monday, no additional day charge. 1. 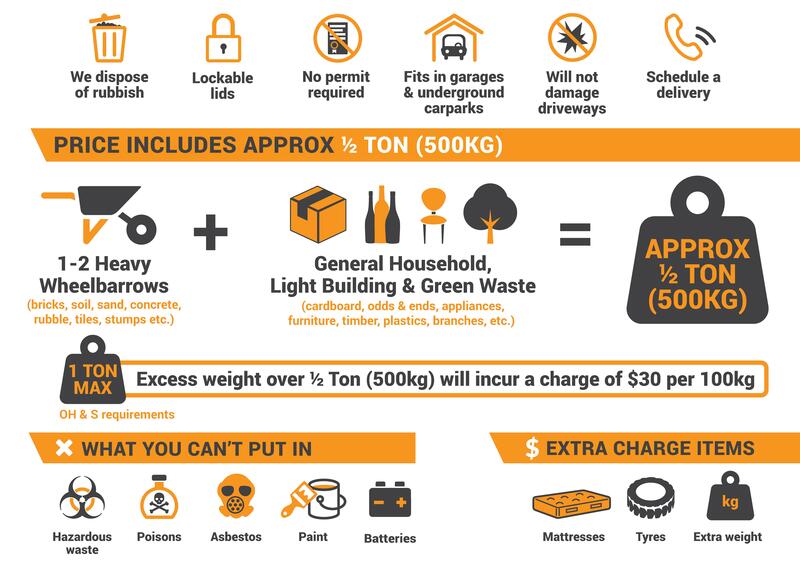 The following is a list detailing what is considered as a hazardous material and should not be disposed of in our mobile skips under any circumstances: Radioactive Waste Paint Batteries Tyres Mattresses Acids Medical Waste Liquids Asbestos * *Asbestos: Asbestos is an extremely dangerous substance. Those who incorrectly dispose of asbestos may be criminally prosecuted. The Hirer will be held liable for any asbestos that is found in the skip, and the Hirer is responsible for covering any costs associated with proper disposal of the asbestos. 3. The 3m3 skip must not be filled above a weight of 400kg, while the 4m3 skip must not be filled above a weight of 500kg. Loads over these limits may violate regulations and lead to additional fees. 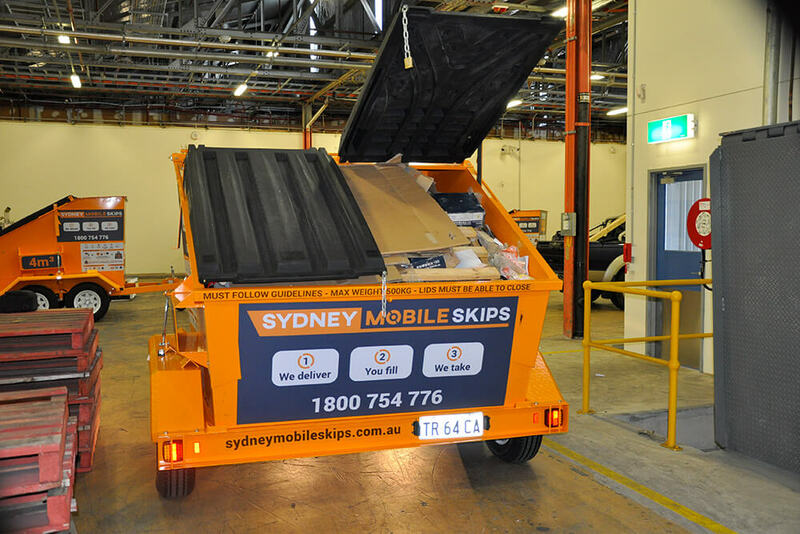 The skip may be weighed once it is returned to Sydney Mobile Skips, and the Hirer is liable for any Infringement Penalties incurred while in possession of the skip. You will be securely taken to the Paypal Website to complete your transaction.